After honing his gruesome quill on 2007's The Orphanage, Sergio G Sánchez's first feature-length offering is an unevenly pleasant surprise. 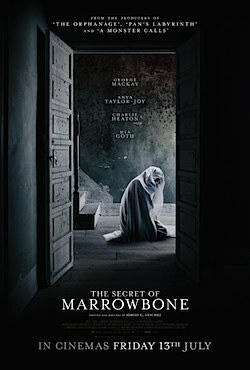 Predominantly younger casts can be a challenge, especially in the horror genre, but George MacKay, Anya Taylor-Joy, Mia Goth and Charlie Heaton make for a formidable line-up, with the 9yr old Matthew Stagg threatening to steal their thunder at any moment. 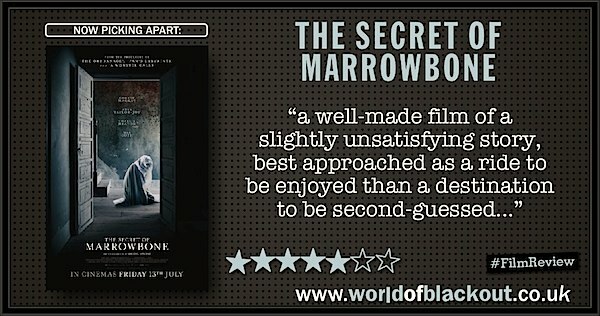 The Secret Of Marrowbone has been slightly mis-marketed as a horror movie when it's closer in tone to a Victorian macabre thriller (the trailer is particularly disingenuous). The inevitable jump-scare sequences are efficient in their own way, but are by far the least interesting aspect of the film. But what really sells this is the aforementioned cast, often just playing off each other and the creaking, rotting sets. This has the feel of The Others, The Awakening and the Famous Five on glue. 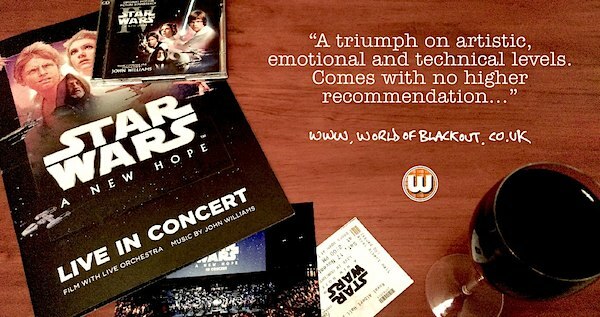 Yes, but you won't lose too much by watching it at home. George MacKay and Anya Taylor-Joy are always great value for money, and continue to be so here. Given its lukewarm reception elsewhere, that's a possibility. Level 2: Anya Taylor-Joy is in this, and she was in The VVitch with Ralph 'Garmuth' Inseson and Kate 'nameless First Order monitor' Dickie.